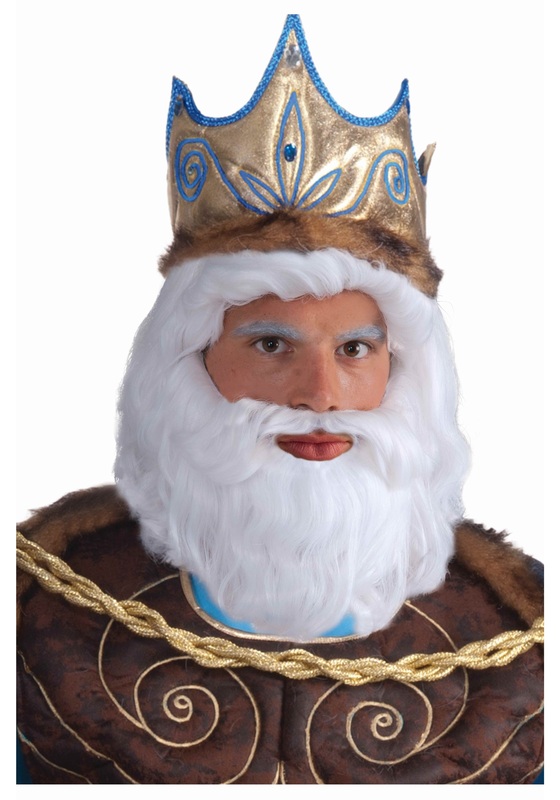 Note: The beard and wig do not connect into one piece like shown in the picture. So you're bent on being a Roman god, are you? We don't blame you. This Neptune guy sounds like quite the power-house. Seriously, god of water, springs, seas, and oceans? Not to mention god of horses and horse racing? That's pretty boss. Of course, if you're going to be dressing yourself as god of water, you should probably make sure you look as regal as possible. You need to be an authority. An ancient power. Which is why a really prestigious beard would help your cause. So try our King Neptune Wig on for size. It's 100 percent synthetic in a silvery white color. It comes with the wig and the beard (although they don't attach to each other like in the photo). Instant regal white hair and beard should definitely help to strike awe into the hearts of mere mortals. Or, at least, they'll think it's pretty neat.